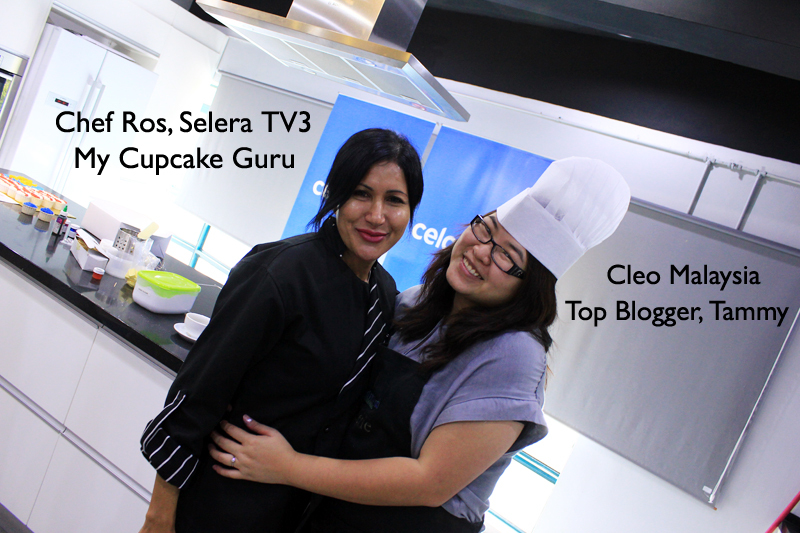 Plus Size Kitten: Celcom Cupcake Challenge: Hello Malaysia! 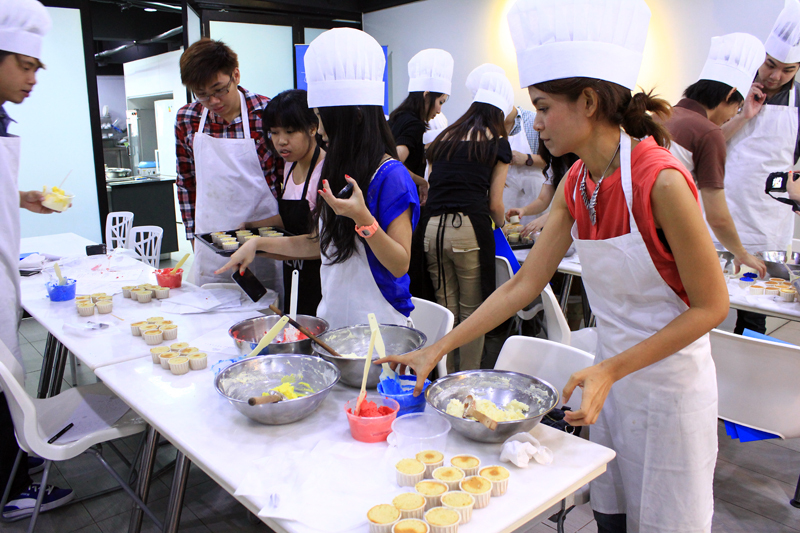 Design, Win Prizes & Get Free Cupcakes! 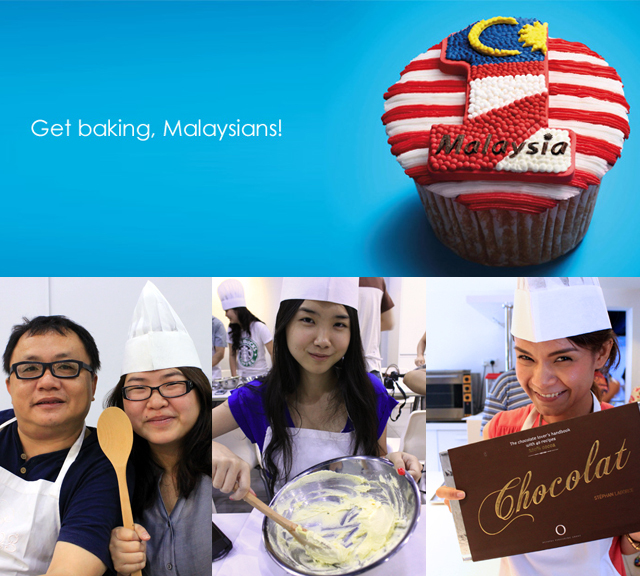 Celcom Cupcake Challenge: Hello Malaysia! Design, Win Prizes & Get Free Cupcakes! Let me tell you what I did on Saturday morning, while everyone else was sleeping I woke up, wore the new grey top I bought from Flow, put on my jeans and head right out to hunt for a taxi. Why so energetic? 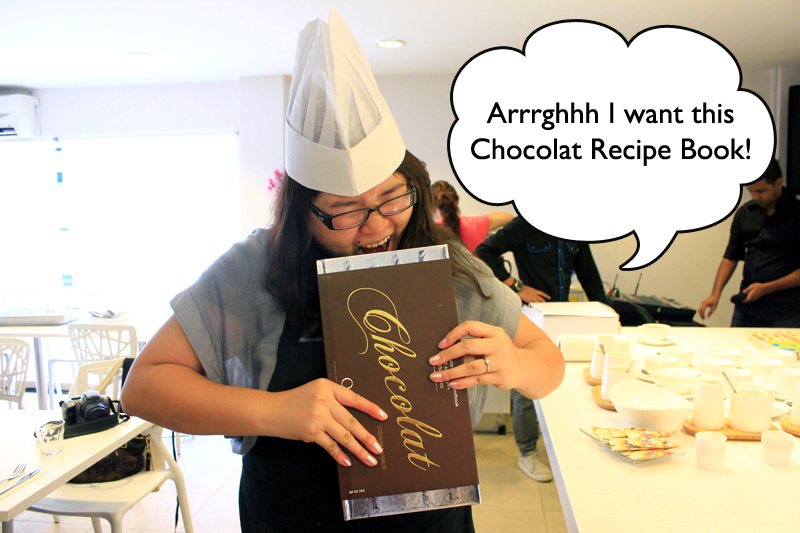 well it's because I wanted to learn how to bake cupcakes from Celcom's Cupcake Challenge Baking Workshop at The Cooking House, Desa Sri Hartamas. 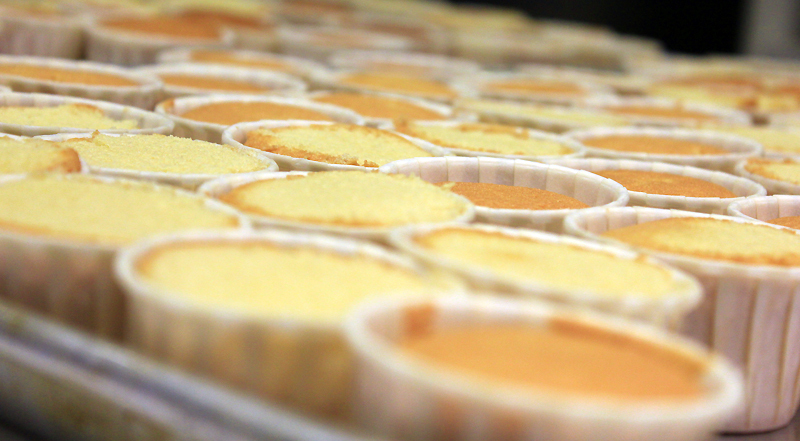 It was my second time there (first time was making mango tarts with Garnier). I'm so happy my galpals Jean & Fatin will be there too. I wonder if we broke some kind of Guiness record for being the most bloggers learning to bake "1 Malaysia" cupcakes that day? In conjunction with the 55th Merdeka celebration of peace, unity and stability comes your chance to put your skill and patriotism on display. 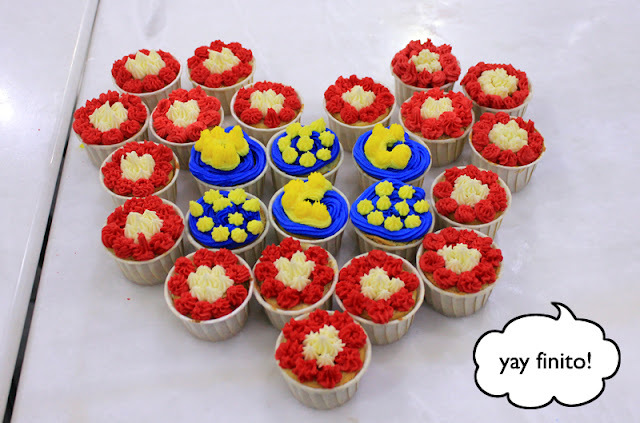 Design a cupcake with your own creative interpretation of national pride and upload the picture to https://www.facebook.com/cupcakeschallenge/app_465477270151199 from now until 20 September 2012. The top 55 entries with the most ‘Likes’ will be chosen for a bake-off and stand a chance to walk away with the Grand Prize of RM10,000 Cash, a Samsung GALAXY S III, LG PRADA phone and other prizes worth more than RM100,000 in total. however we decided to up our patriotic spirit! While we needed to design and bake our own creative interpretation of national pride, in which a sample was given to us to follow. 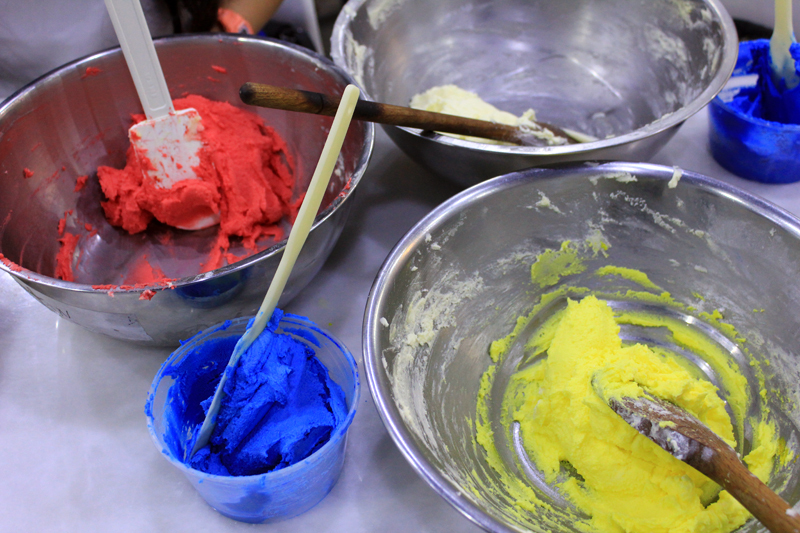 Jean and I (team) decided to stray off the norm and create our own patriotic pride cupcakes. 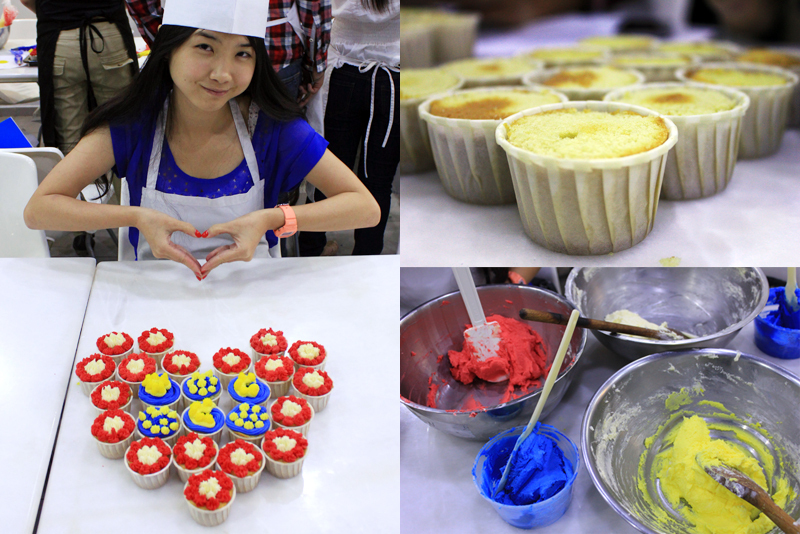 We made the cupcakes to form a heart shape, and decided to go flower power on the red and white stripes of the flag. Our moon and stars would be centralized hub for it. How's that for creative? *lol*. Please give us some comments! we didn't win the challenge though *sad*. The prize was a coffee table book on chocolate recipes. Now off to show you how it's done! 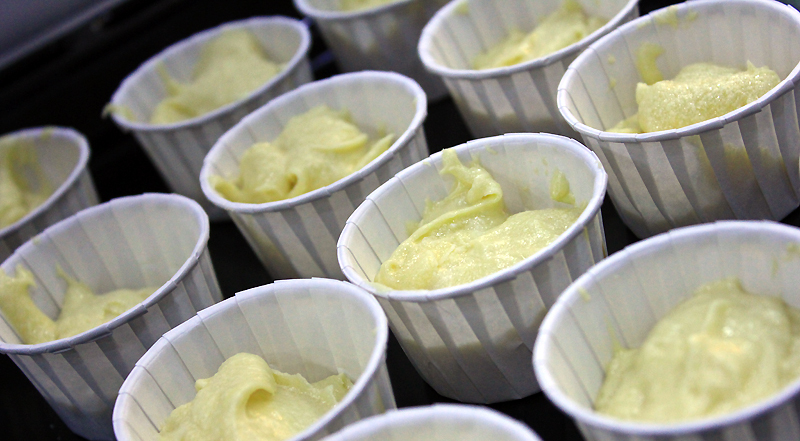 in a matter of few hours, we manage to work up a sweat, build our bicep muscles and also gain weight (because we kept eating the cupcake dough and icing which was sinfully delicious! yum). The recipe is available here, in quick easy steps. 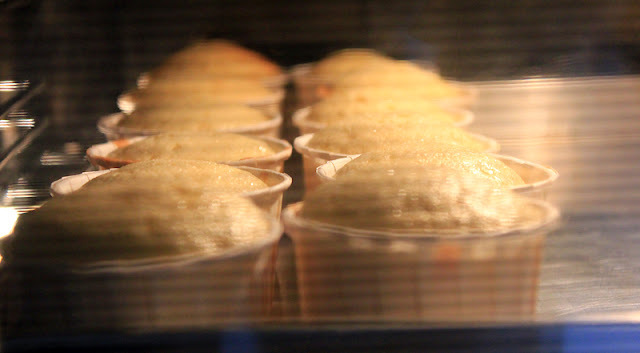 For a more comprehensive guide, you can always google cupcake recipes out to make your own :) hope you enjoy the pics I put together for this demonstration! 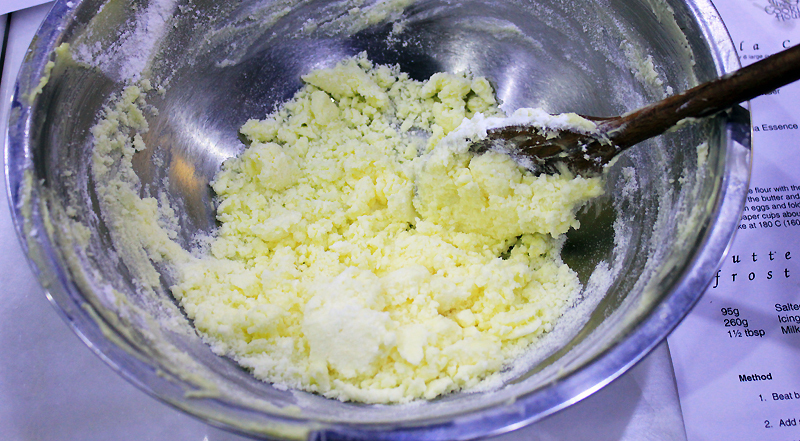 Sieve the floor with baking powder. 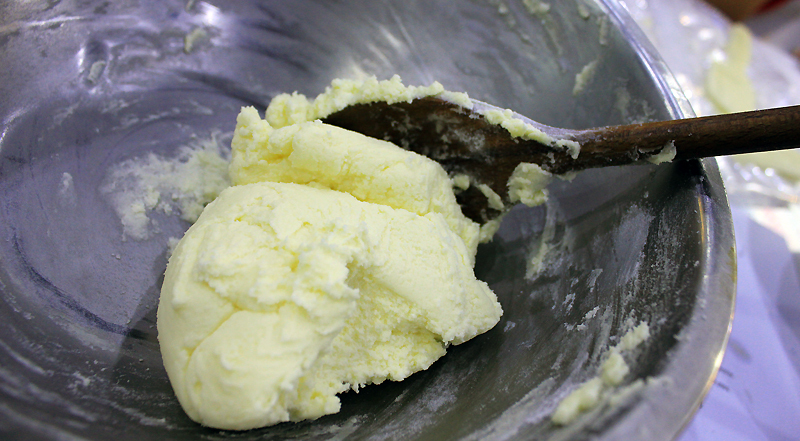 Cream the butter & sugar until white & fluffy. Beat in eggs and fold in flour carefully. Fill paper cups until 2/3 full. Bake at 180C for about 13minutes. 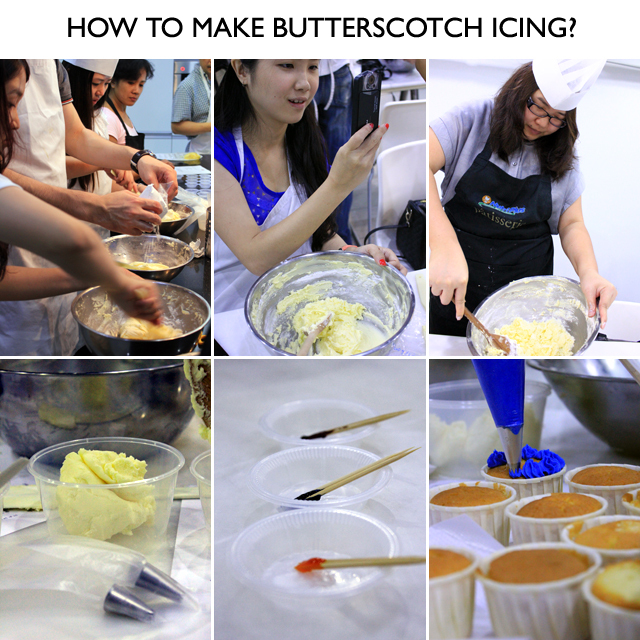 How to make Butterscotch Icing? Add sifted icing sugar, milk and beat until combined. 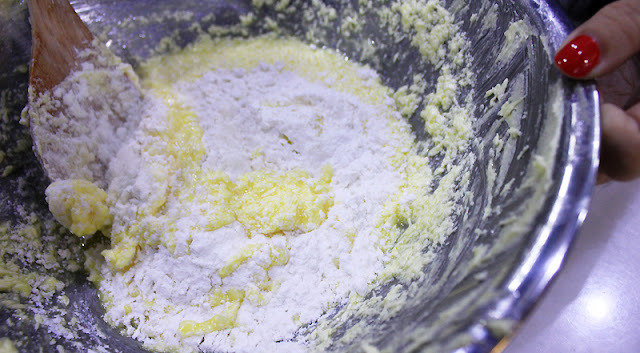 Add more powdered sugar as needed to get pipping consistency. Add a drop of food coloring if desire. 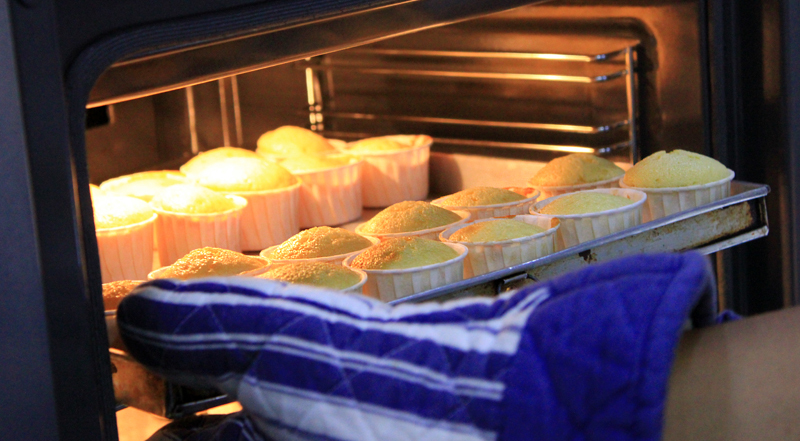 baking in progress few mins more! faster faster time's running out! we call this 1HeartMalaysia can? Overall, judging from the photographs of me and my friends, you'd say we had a great day right? Yeap you're right! we had a fabulous time baking and designing our own cupcakes! 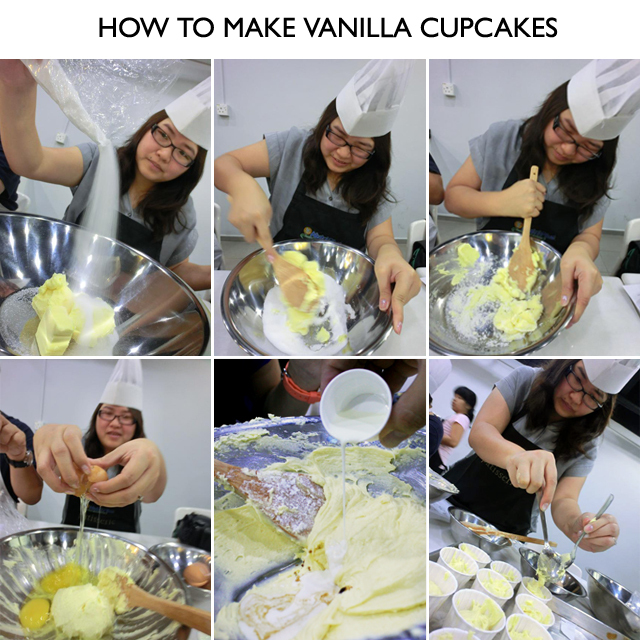 I didn't think it would be this simple and I am sooooo going to make my own cupcakes at home and try to enter this challenge and be one of the top 55 entries chosen for a bake-off and stand a chance to walk away with the Grand Prize of RM10,000 Cash, a Samsung GALAXY S III, LG PRADA phone and other prizes worth more than RM100,000 in total. Counting down to 23rd September (closing date) where all pictures submitted will be compiled and winners announced. If you have a flair for design, you can easily beat others to it! (maybe we should pakat? team up together? ahem ahem). Also another good news, on 16th September (Malaysia Day), Celcom is giving out free cupcakes! where and how to get it? check out https://www.facebook.com/cupcakeschallenge.